A slightly seasoned serial-entrepreneur, who is passionate about people, purpose, and giving back. Henderson started his first company at 19, and since then has bought and sold, or started and sold a total of nine companies, including, and most recently DOYLES, an Inc. 5000 recipient in 2008/09. 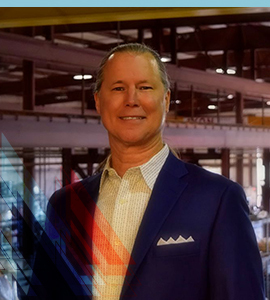 Over the past fifteen years, Henderson has led companies through exponential growth, and high-stakes turn arounds, and currently serves as CEO of HENDERSON, a drilling rig & capital equipment company. Dan is a graduate of Dallas Baptist University, a former professional baseball player, and is devoted father and husband. Dan & Ashley have five children, and live in Houston, TX. James “Jim” Lank has more than 16 years of oilfield experience, including legal, operational and senior management positions at Shell, Nabors, Tesco and now HENDERSON. He has grown and managed $100MM+ businesses in Russia, Europe and North America. Mr. Lank is a graduate of St. John’s College and Harvard Law School, and a veteran of the U.S. Air Force. Mr. Isbell has more than 13 years of experience in financial management roles within both public and private oilfield companies including BJ Services, Baker Hughes, Emerson, Tesco Corporation and Warren Oil. He has extensive experience with directing global financial programs. Mr. Knight has spent the better part of 25 years providing alternative financing to companies in a variety of industries, including O&G, technology, agriculture, and others. Additionally, Mr. Knight has experienced success as an entrepreneur as founder, and or a partner in numerous small businesses. An avid outdoorsman, Knight enjoys spending time with his four kids in the mountains of Utah skiing, hiking, climbing, and enjoying all of God’s wonder. A leader at HENDERSON, Knight also became a partner in late 2016. Peter is an embodiment of the company’s culture and core values. With more than 40 years of experience ranging from rig operations to manufacturing and service, Mr. Honeycutt has worked his way from the bottom to the top through hard work, grit, and determination. As a former roughneck, and service hand for one of the first Top Drive OEMs, PT has the first hand experience to provide mentorship and leadership with a calculated approach, and servant’s heart. Naturally, PT’s mechanical mindedness makes him a instrumental contributor to the companies innovative manufacturing methodology. PT and his wife Kellene of 40 years live in Todd Mission, TX, and enjoy spending time with their 2 grown children, and 2 grandchildren. PT is an avid hunter, fisherman, and all around handyman.